You cannot stand your friend’s offensive spouse, yet, you need to meet him/her because you truly enjoy hanging out with your friend; you want to kill your husband’s relative as she has nothing good to say about you, yet, you need to be pleasant because she is ‘his’ ‘relative’; you are enjoying your Friday ‘after-work’ drinks at work, and that ‘one’ colleague joins who is gregarious with others, but invariably avoids eye-contact with you. He is making you angry, but you cannot show your anger because you have to maintain professionalism. Be it your friend’s spouse’s obnoxious antics, husband’s relative’s sarcasm or colleague’s aloofness, everything about them makes you angry, and you want to crib about that person with anyone who is willing to listen. Somehow that person’s negative energy makes you take responsibility for feelings that are not yours. You may even get yourself stuck in harbouring negativity for that person, and sabotaging your own positive energetic system. But you cannot do anything because you need to maintain relationships. It happens to all, and it happens for real. I am a firm believer that if I am not able to like someone, it is very much possible that the other person does not like me either due to my behavior. After all, I am exerting that unpleasant and negative energy when that person is around. 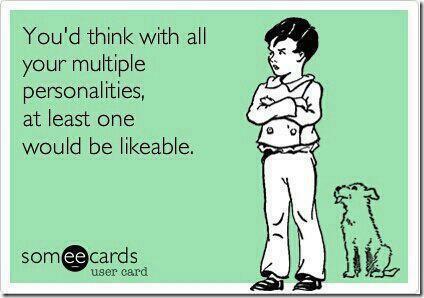 I cannot be likeable. Thus, after going through lots of spiritual quotes, I have come up with three mantras to end such negativity. “Don’t get my personality and my attitude twisted, because my personality is me, and my attitude depends on you.” This holds true all the time. Many times, we think we are fine and the other person is the issue. 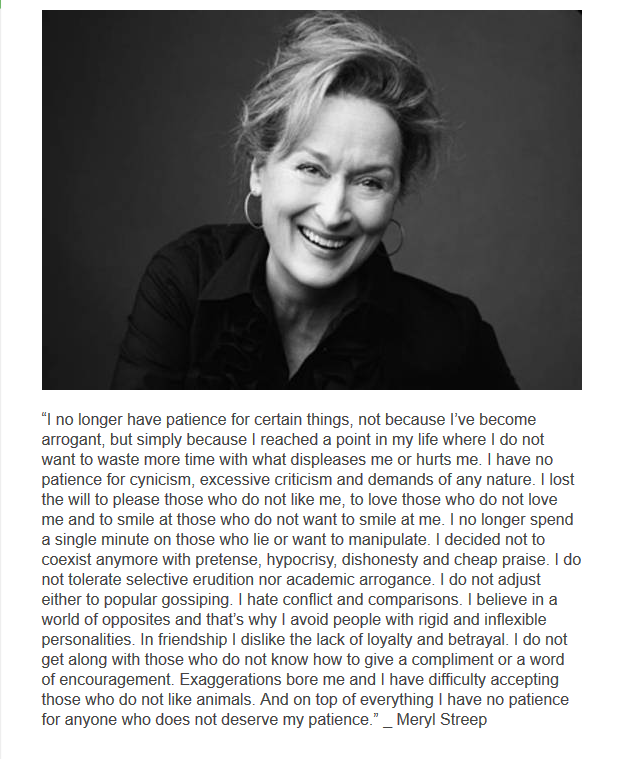 But over the years, I have learnt that I too come across as an arrogant person when I am with people from whom I get an uneasy vibe. It could be possible that my cheerful, child-like, and extroverted nature comes across as boastful, immature, and arrogant for others. For example, possibly because I assume that the ‘previously-mentioned colleague’ is not going to greet me, I too, unknowingly, do not make an eye-contact with him, or give cold shoulders. Perhaps, that influences his behaviour towards me as well. Many times, we cannot change our personality for people we do not like, but there is no harm in discovering our alternative personality, and make peace with ourselves. “Any fool can criticize, condemn and complain. Don’t be distracted by criticism. Remember the only taste of success some people have is when they take a bite out of you.” Remember the relative who cannot start the conversation without commenting about your hair, dress or face? How difficult is it to start a conversation with a simple compliment? Instead of, “What is wrong with your face, you have got so many pimples?”, how about a simple,”You look great in this dress?”. At least our simple compliment can make the other person feel special. However, I am practicing to ignore such negative comments by thinking that my personality somehow makes that person jealous and uncomfortable, and thus she has to pinpoint any negative aspect of my appearance to satisfy her own ego. At least, someone is insecure about my personality, and I take a sadistic pleasure in it. That is my way of dealing with such negativity. Don’t get my personality and my attitude twisted, because my personality is me, and my attitude depends on you…what does this mean ????? Previous Previous post: It’s all about cleavage – Deepika Padukone’s cleavage! Next Next post: What would you tell your 16 year old self?